My only question is if Dave wants to get rid of them so badly, then why doesn't he just grab a broom and beat them up? I mean the guy has a huge height and weight advantage on them little bastards. Come on!!! 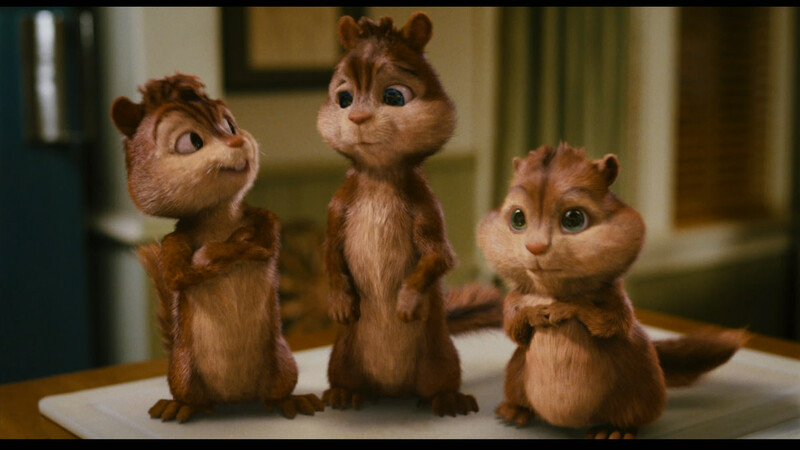 Synopsis: A struggling songwriter named Dave Seville finds success when he comes across a trio of singing chipmunks: mischievous leader Alvin, brainy Simon, and chubby, impressionable Theodore. Note: This film review was originally supposed to be come out BEFORE I wrote my review on "Alvin and the Chipmunks: The Roadchip", but sadly i fell a bit behind because of job hunting and personal issues. I apologize for that. Anyways, this review was written as sort of a tribute to the last chipmunks film, so enjoy. HEY!!! Put some clothes on damn it! This is a kids' movie! - CGI was fairly well done for it's time. - While I can't say there's anything bad in it for kids, I wouldn't say it's great either. - The design choice for the chipmunks to be actual sized talking chipmunks versus anthropomorphic children with chipmunk faces was actually a good idea, from a marketing perspective. 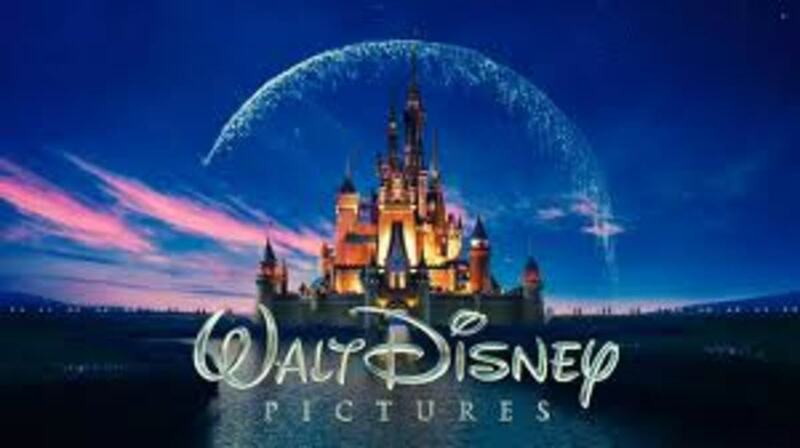 - Story was too predictable and formulaic for my tastes, which makes the film very forgettable. - Humor is lame, as it mostly revolves around poop jokes and other various humor that would mostly appeal to two year old children. - Some of the characters are generic stereotypes like Ian, for instance. mmm...too easy to make fun of this picture. Whether you love or hate this franchise, "Alvin and the Chipmunks" is arguably one of the most financially successful adaptations of a cartoon in cinematic history. Spawning a few movie sequels, and a brand new CGI cartoon show on Nickelodeon, it seems like this franchise has found some new light these days. But is it deserved? Unlike the previous cartoon shows and movies of the past, Fox has reinvented the characters from being anthropomorphic chipmunks, with the faces of chipmunks and the bodies of children, to talking self aware actual sized chipmunks, who can talk for some reason. Granted, I know a lot of old school fans love to moan and b**** about that change, but it kind of makes sense from a marketing perspective. After all, kids do love small fury animals like kittens and puppies for example, so it only makes sense that in order to appeal to kiddies that they would make the chipmunks smaller to resemble real life chipmunks rather than have them be the same size as most kids. 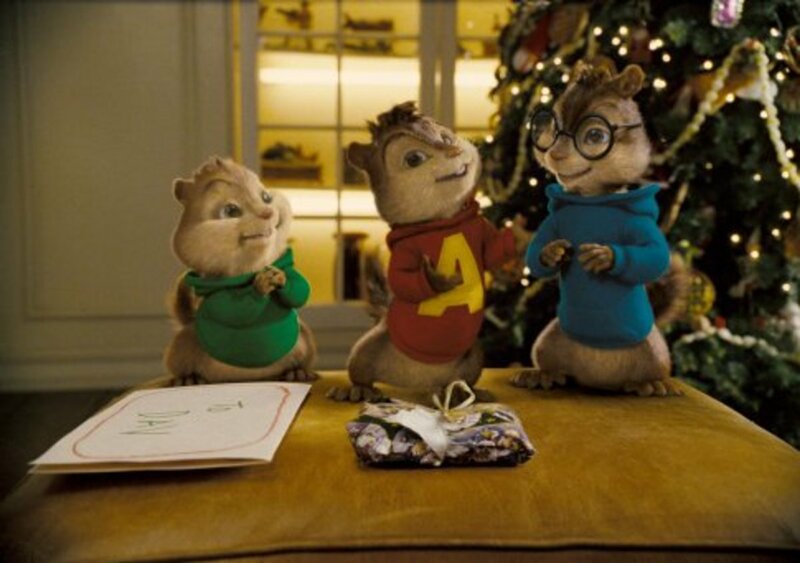 Granted, I know some fans might point out how unrealistic it is for chipmunks to talk, but my only rebuttal to that argument is the fact that having anthropomorphic chipmunks that are the same size as normal kids isn't that realistic either. Therefore, I'm not going to discredit the movie for that creative choice, but I will criticize the film for being a bland forgettable over the top boring cliche family movie that offers nothing in terms of substance. The story is essentially an origin story so to speak. Dave is a struggling music writer, who's barely making ends meet. One day, he ends up meeting three talking chipmunks. After freaking out and trying to get rid of them, he reluctantly agrees to let them stay. After finding out their gift for singing, he tries to exploit their talents for money. But over time, he starts to bond with them, as he essentially becomes their surrogate father figure. However, the corporate prick of a music producer, Ian (David Cross), isn't too happy about Dave becoming protective of them, so he tries to take them away. Unlike Dave who loves them as if they were his own children, Ian merely wants to exploit them for money. So I guess Ian is a more tame version of how all music producers are like? Anyway, if you've seen enough family movies, then you already know how this plays out. Bad guys get their kumuppins at the end, and cue in the spoon fed happy ending. 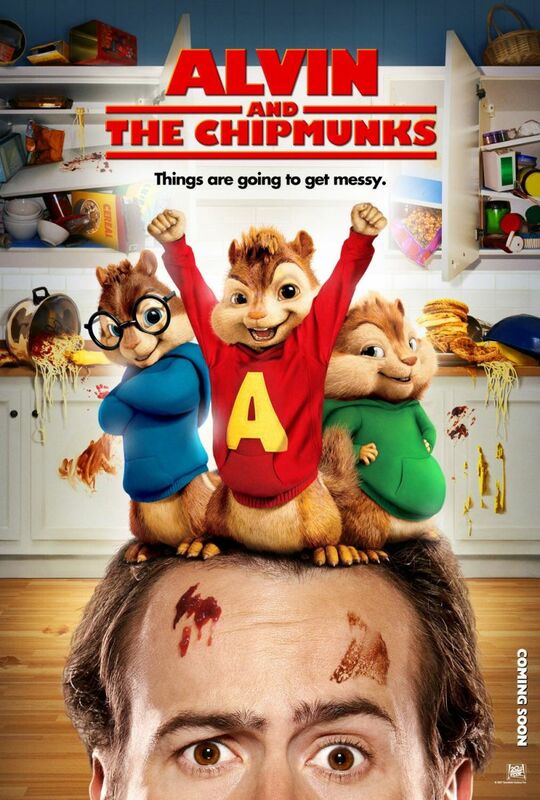 Like most family films, "Alvin and the Chipmunks" is nothing if not insanely predictable. The humor is border line annoying, and reduced to juvenile childish things that would make your five year old giggle, but it would make the rest of the adults in the audience cringe. For example, Theodore poops, and Dave asks him about it. Simon covers it up by saying it's a raisin, and puts it in his mouth for a bit until Dave leaves. Yes, if you love poop jokes, then you'll probably love that scene. Personally, I think poop jokes are gross, but that's just me. Overall, "Alvin and the Chipmunks" main crime isn't so much that it bastardizes certain elements of the original series, as changes are usually expected when modernizing a franchise, but it's the fact that it's too generic for it's own good. Nothing about the movie particularly stands out, and most of the humor tends to fall flat most of the time. I guess if you're looking for a halfway decent family movie that'll get your kids to shut up for a couple of hours, then it's harmless. Besides, I can certainly think of worse movie choices to watch. Granted, "Alvin and the Chipmunks" is a mediocre film, but it's tolerable. But with all the great Pixar, Disney and Dreamworks movies out there, my only question is why would you want to settle for this movie? Unless your kid is crying to see this film specifically, then you'd be better off watching a PIxar or Dreamworks animated movie, before even thinking about having them watch this one. . I hope it does soon, cause its getting ridiculous. Why isn't zoidberg pleased? Is it because there's sequels to this mediocre franchise? Anyways thanks for the compliment.